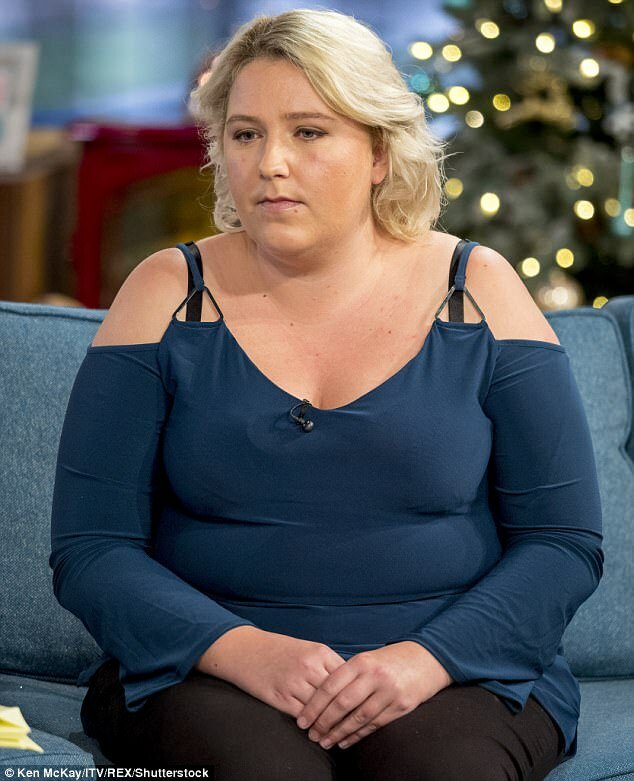 Claire Young, 29, who was signed off work in 2012 because she has a painful condition called fibromyalgia, hit back at her critics after she appeared on This Morning. 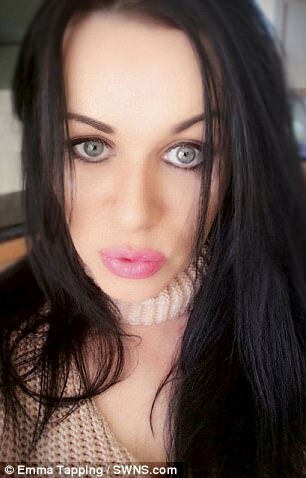 She was criticised by viewers who branded her 'vile' and 'greedy' after explaining how she bought 11 Christmas presents for each of her six children. She said: 'No one has the right to tell me how to spend my benefits. I'm very fair and make sure my kids get 11 presents each — 66 between them. Claire lives in Hampshire with her ex-bricklayer husband Trevor. Her six children are Steven, 11, Lisa, nine, Lucy, seven, Jamie, six, Kayla, five and 22-month-old Evie. 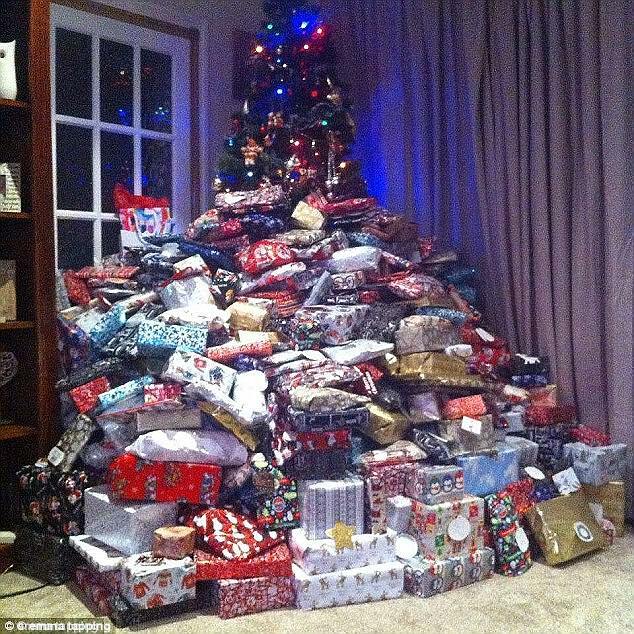 To afford her Christmas presents she spends £300 on each child, with a total of £1,800 on gifts. She said the entire cost came in at more than £2,500 each year once she had also purchased food, games and drinks. This year's gifts include a PS4 video games console plus games, DC Superhero Girl toys, Lego, clothes, dolls and a Peppa Pig Farm. Speaking to The Sun she said: 'It's our money and we spend and save it well and the kids ­benefit. I'm proud I can make Christmas special for my kids. 'My kids love Christmas and just because we're on benefits shouldn't mean they miss out. I don't tell people who work how to spend their money, so people who work shouldn't tell me how to spend mine. She added: 'We go without over the summer holidays and I have one pair of shoes so I can save for Christmas for my children. Claire, whose children are all aged 10 and under, explained how she could not work because she suffered from both ME and fibromyalgia. Her partner gave up his career as a tradesman three years ago to become her full-time carer. They now receive a combination of housing benefits, cash credits and Personal Independence Payment (PIP), with payments averaging £850-a-week. Claire explained she is able to afford her Christmas because she starts saving at the start of the year. 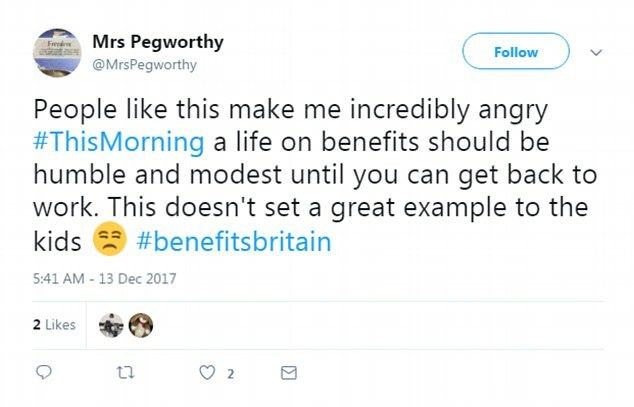 Following her appearance on This Morning parents argued she should be saving more of the money she received in benefits. 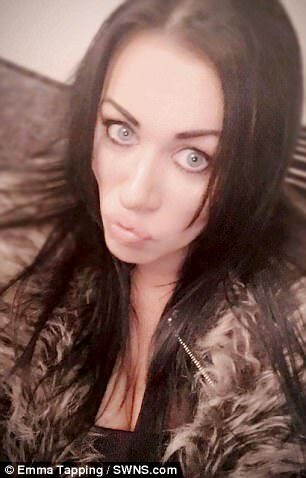 Phillip Schofield and Holly Willoughby also spoke to mother-of-three Emma Tapping, from the Isle of Man, who appeared on video link in front of her Christmas tree that is piled high with presents. 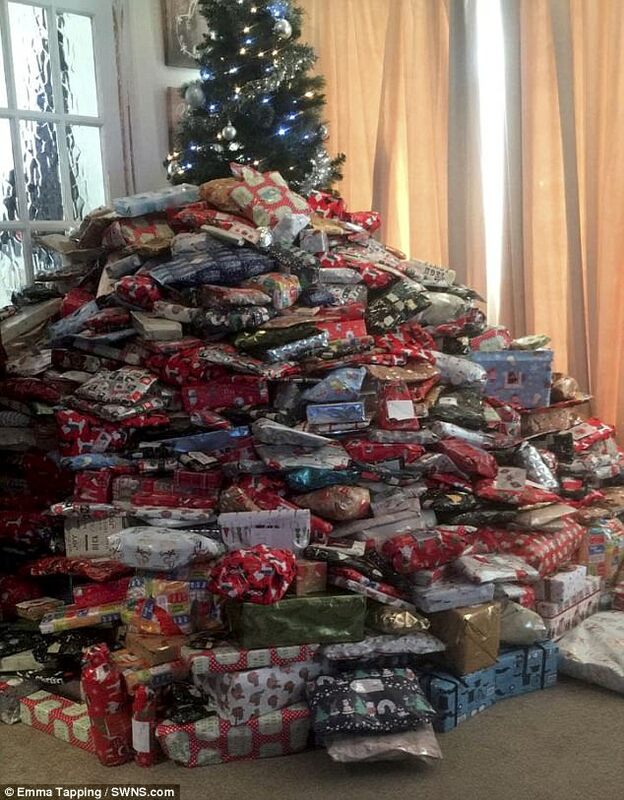 She became an online sensation two years ago when a photo of another massive haul of Christmas presents went viral. The working mother defended her lavishness, saying she started buying in January and slowly built up the gifts over the year. Emma estimated she has spent some £2000 on gifts for children Mia, 15, Ella, 11 and Tatun, three. Speaking from her home this afternoon, she said: 'I don't spoil them throughout the year. If they want something they have to do chores and buy it themselves. 'If they break their phones for example, they don't just get a new one from me. They get stuff they need but they don't get spoiled. Christmas has always been a big day for me and I like to carry that on. I don't really care what people think. However she was widely criticised by viewers, who claimed she was 'spoiling' her children.